Price in Reward Points : 400 Only 20 Left Need More? 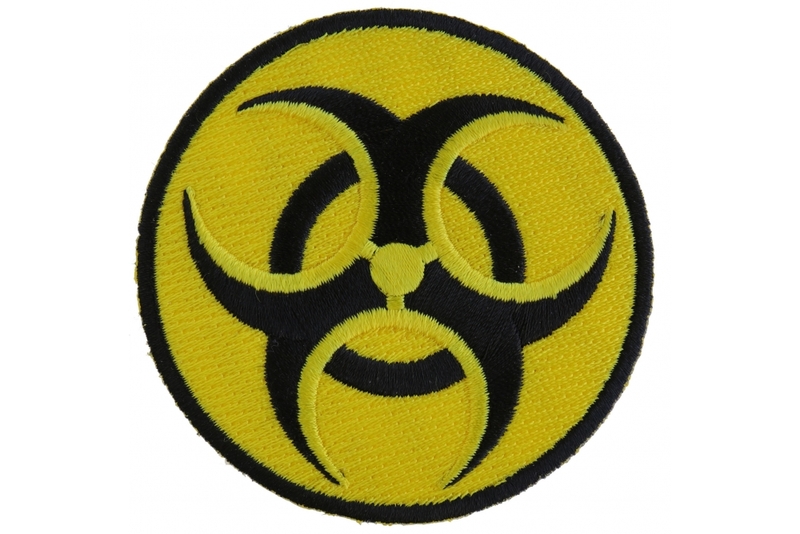 The Bio Hazard Patch is fully embroidered in yellow and black. It is a 3 inch diameter circle shaped patch. 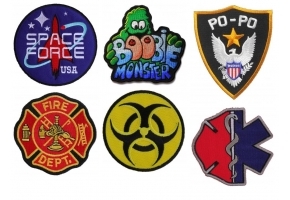 Have fun with it, sew it on your jacket to let your friends know you are a Bio-Hazard. Carry your humor around with you with this funny patch. This is an Iron on Patch with heat activated glue applied over the plastic backing. Refrain from ironing on a patch to leather coats. 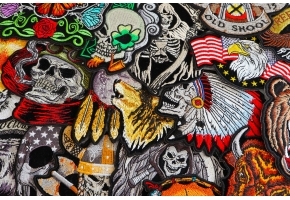 You should only sew patches when applying to leather such as vests, jackets, chaps, purses or wallets. This patch can be easily sewn on as it features a clean die cut border. Heat Pressing embroidered patches works wonders when you need to customize caps, hats, shirts or jean pants. 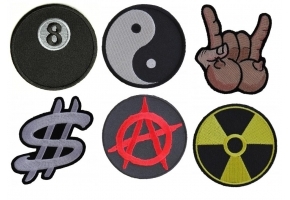 Add a personalized look to plain old clothes you wear or sell with iron on patches. Apply for a wholesale account if interested in making bulk patch purchases.